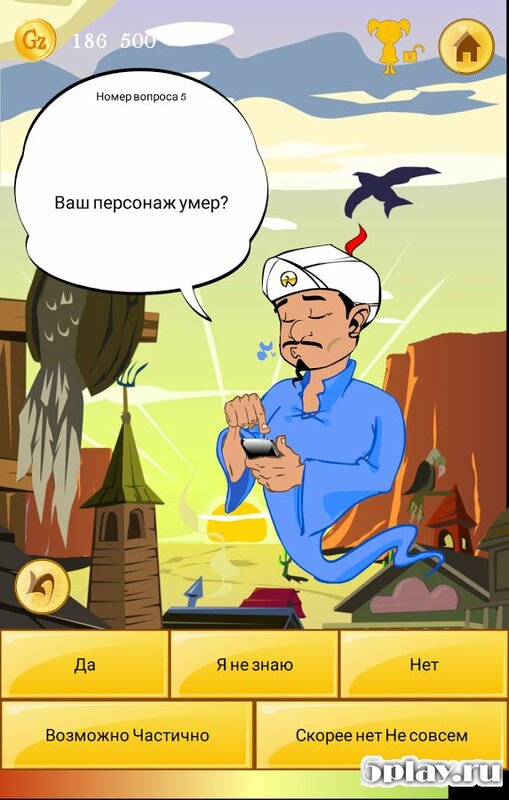 Akinator VIP is a fun application that is able to brighten up the everyday life of the owners of devices based on Android. Gamers will visit in the company of a Jinni, who tries to unravel the intended character. Building a chain of questions (from General to more narrow and lookup), a magic hero will gradually approach the final. But it is necessary to accurately give him the answers. Thus, the gene will be called not only the hidden characters, popular all over the world, but even your friends and family. Of course, nobody will read thoughts. The app is not capable of. But the element of surprise that occurs when correct responses is present here. Nice design, interesting idea and a certain amount of excitement – that's what motivates to play again and again. Try it yourself and you will understand that the Genie is capable of much. 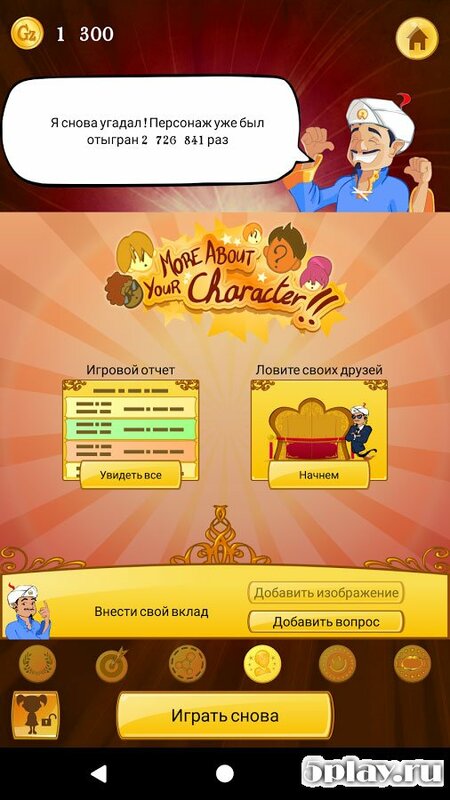 Management Akinator VIP is quite simple and will not cause any difficulties. Everything is intuitive and therefore fun and interesting.